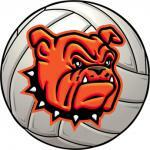 “Our destiny is in our own hands,” Bulldog head volleyball coach Alan Williams said during district play. Now more than ever, that’s entirely true. 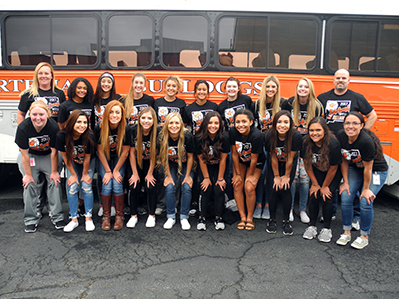 The Artesia High School netters have accomplished their goals thus far. Compiling an overall record of 19-2, they secured both the regular-season and District 4-AAAAA Tournament titles. They earned the No. 2 seed in Class 5A. As the ‘Dogs begin pool play bright and early Thursday at the Santa Ana Star Center in Rio Rancho, destiny will be right there beside them. All they have to do is reach out. Getting off to a solid start in their pool – which includes No. 7 Roswell High and No. 11 Bloomfield – will be of utmost importance for the Artesia girls. Over the course of their early-season tournaments, pool play was often a hindrance. “We haven’t always done our best when it comes to that, so we’re not even thinking about the bracket or what happens afterwards,” Williams said today. “We’re totally focused on trying to win our pool. They’ll be doing so against one very familiar foe in the Coyotes, with whom Artesia split during regular district play. Should the Bulldogs come out on top of Pool B Thursday morning, they’d receive a bye through the bracket’s Round of 12, which kicks off at 3:30 p.m. that same day. That would place them in a 9:45 a.m. quarterfinal Friday. Battling for byes in the other pools will be No. 1 St. Pius, No. 8 Kirtland Central and No. 12 Gallup; No. 3 Los Lunas, No. 6 Albuquerque Academy and No. 10 Capital; and No. 4 Farmington, No. 5 Santa Teresa and No. 9 Goddard. Over the course of the past few days, Williams says the ‘Dogs have gotten back to basics in practice. They’ll need to do the little things well, particularly in the shortened matches of pool play. And should it come down to willpower alone, Williams is confident there; the Bulldogs are raring to go. “I think we have a fantastic attitude going into the state tournament,” said the coach. “It definitely helps having so many seniors. We’ve got several girls who have been starters for three years, some for four, and their leadership has been really great in trying to prepare the team.